"There were so many people needing compassion. Many were willingly accepting prayer from us – several requesting prayers. Response Pastors helped many to find a way through the media scrum to lay their flowers alongside the others in the growing display of the public’s response to this awful tragedy – and to stand with them – pray with them. We held many in our arms as they wept. They had been through such harrowing experiences." The Response Pastors spent time yesterday afternoon talking & praying with individuals in St Anne's Square. 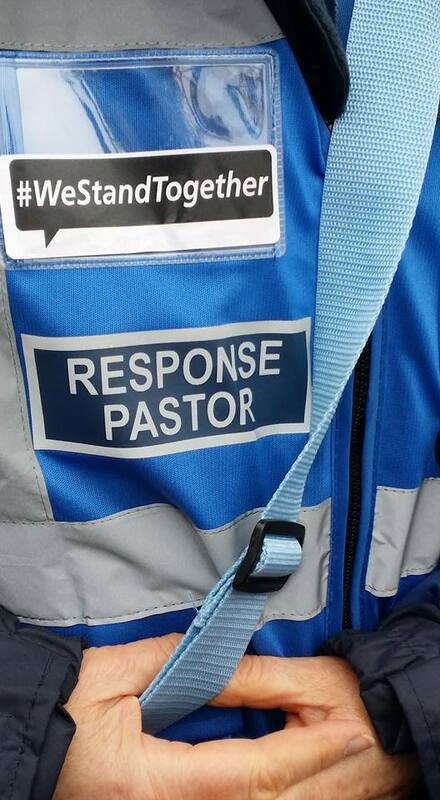 They attended the vigil in Albert Square in evening, working alongside and supporting the local Street Pastors. There was a strong feeling of community spirit - everyone was united - we will not be cowed. It was especially great to see people of all faiths, and those of none, standing together in solidarity.